Hamilton Lauraville Main Street is a volunteer-driven organization. Volunteers help us make Lauraville and Hamilton a great place to live, work, and play. We welcome all members of the Hamilton and Lauraville community who would like to contribute toward the improvement of our vibrant community and have some time to help us reach our goals. 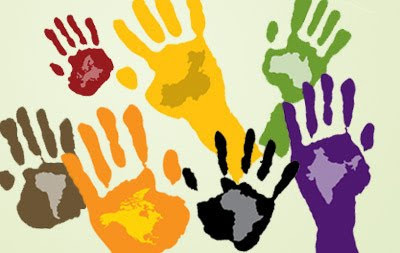 We need and welcome all forms of help: your time, talents, ideas, suggestions, and enthusiasm! Join a committee to help plan upcoming activities and projects: Organization CommitteeDesign CommitteePromotion CommitteeEconomic Enhancement Committee Committees meet on a monthly basis for strategic planning and implementation. Please contact HLMS for more information on how you can help us help our community. 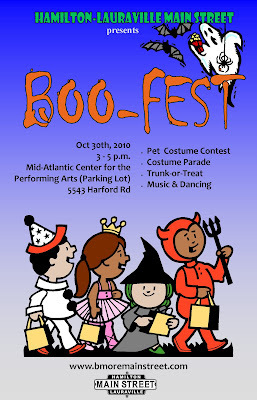 To volunteer, please call the Main Street office at 410-319-7150 or email the organization committee. 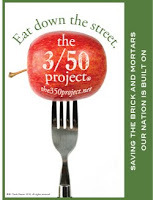 Or if you would like to donate funds to HLMS, please go to our web page at the http://www.bmoremainstreet.com/ and click on the donate button. 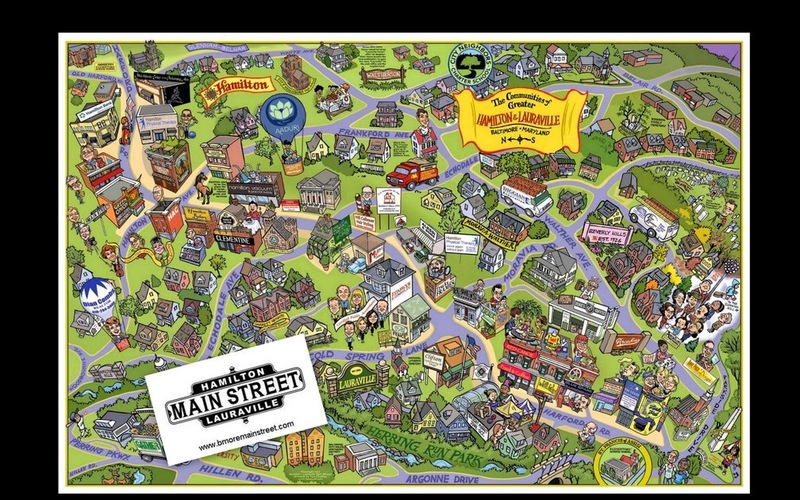 Hamilton-Lauraville Main Street is a 501(c)3 non-profit organization. A Great Article about the Down Hill Derby on Harford Road. A great article and pics from Studio H Photography about the Hamilton-Lauraville Down Hill Derby held on Harford Road on October 2010. Night of Theater at the Hamilton Arts Collective: November 5 @ 8:00 p.m. Learn more about upcoming opportunities to volunteer and organize events in the theater. 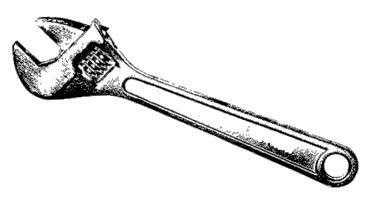 Theater Workday Saturday, November 6, 2010 from 10:00 to 2:00 in the Hamilton Theater Help fix-it-up and paint-it-up! Featuring artwork by guest artist Jeanette Ortt, featured member artist Marcus Dagold and member artists. Hamilton Gallery is membership operated with monthly shows featuring the works of our members as well as a featured monthly guest artist. Membership is open to all interested artists who seek to showcase and sell their work as well as assist in helping to maintain and grow the gallery. Usher in the spooky season with film, friends and Fall chills for a good cause. John Carpenter’s thriller about a shape shifting alien in a chilly setting. Film discussion after showing facilitated by Filmmaker Chris Reed. which assists medically fragile Baltimore City seniors with fixed incomes. Please join us to celebrate our 25th Anniversary!!!! through Saturday, Oct 30th, 2010 we are holding a Crab Cake Platter on special for $19.85 ( the year we opened) along with 1/2 Price Original Margaritas!!! 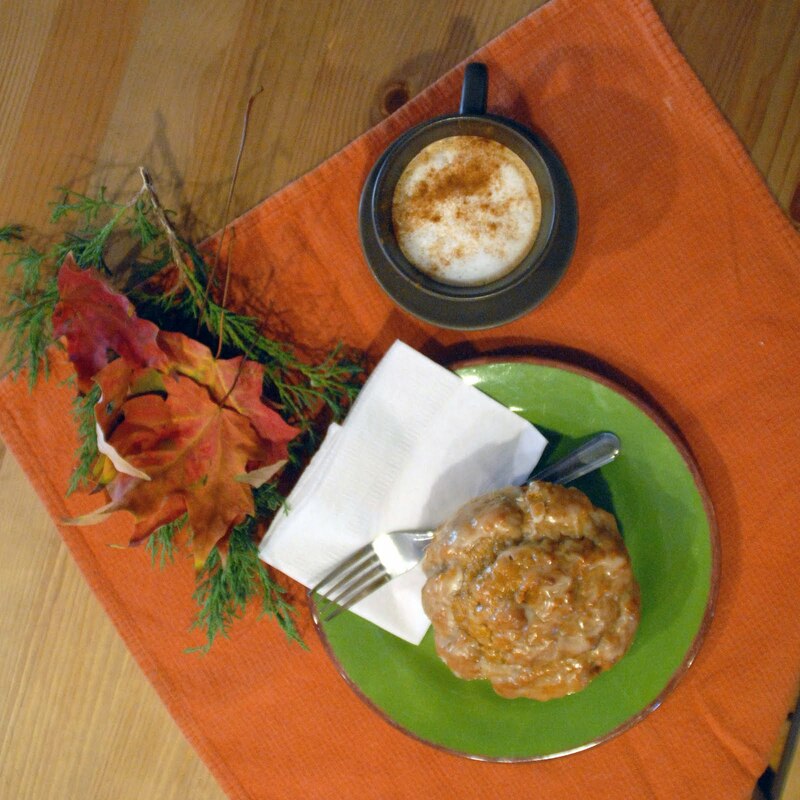 Special is for dine - in only, regular pricing on carry out orders. We hope to see you here! 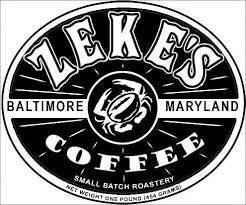 Give us a call to make a reservation at 410-426-3519. Studio 55 is currently hosting a show by the MARYLAND ART LEAGUE, INC. The show will hang through October 29th. It is a beautiful Friday morning here at Red Canoe. We have a group of nursing students drinking gallons of coffee, a birthday muffin group out for breakfast, and some little kids picking up some Friday go to school treats. Sounds like our neighborhood alright! Peter is making pumpkin muffins. Honey-dipped pumpkin using honey from one of our favorite farmers: Sunnyside Farm. You can buy their delicious honey every Tuesday at the Lauraville Farmer’s Market. Tuesday (October 12) we will also be listening to GHOST STORIES! Playwrite Kimberley Lynne will read stories and tell tales—begins at 5:30 this Tuesday 10/12 here at Red Canoe. 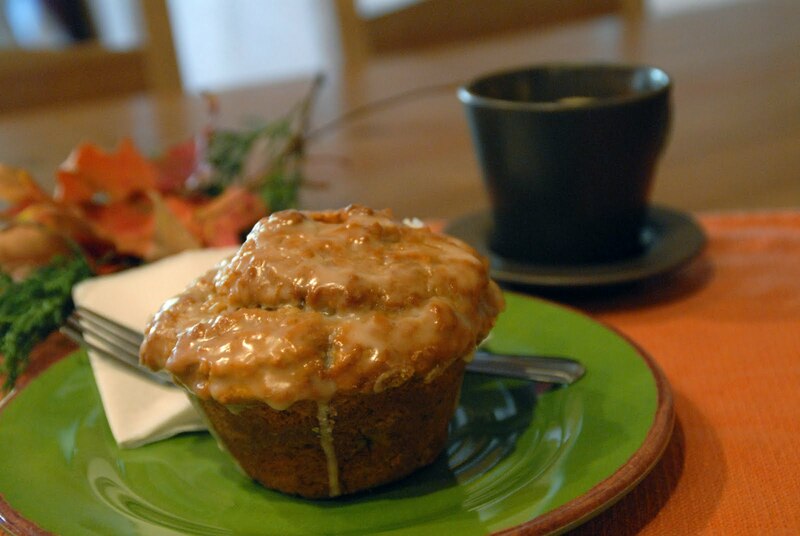 So stop in this weekend for something good to eat, browse some books, meet up with your neighbors. All here at Red Canoe with good hot fresh coffee for here or to go—stop in to just say “hello”! Chef Mac's Louisanna Cuisine is moving to the site of 4709 Harford Road, the site of Parkside Restaurant which closed this summer. 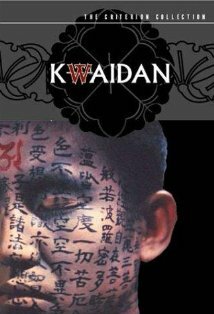 Kwaidan - "Ghost Story" - is a 1964 Japanese portmanteau film directed by Masaki Kobayashi; It is based on stories from Lafcadio Hearn’s collections of Japanese folk tales. The film consists of four separate, unrelated stories. Awarded Special Jury Prize at the 1965 Cannes Film Festival and received an Academy Award nomination. Following is the acting class schedule for the Performance Workshop Theatre, 5624 Harford Road, Baltimore MD 21214. For information and registration: telephone: 410-659-7830 or e-mail: info@performanceworkshoptheatre.org. 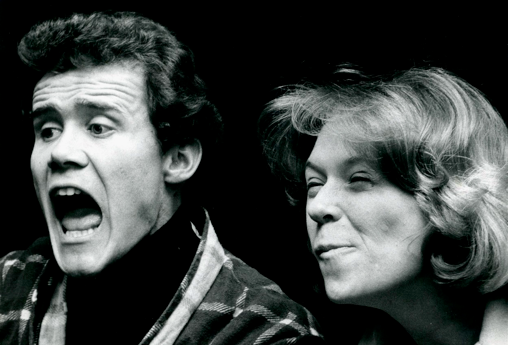 See what actors do to approach a role on stage. Have fun building different actor’s skills by doing physical work for body awareness; improvisations; work with simple texts to access your theatrical imagination; communication and listening exercises designed to improve not just acting skills, but real life presentation skills. You will learn to think on your feet and feel good about it. A maximum of ten students participate in the class and early registration is recommended. No experience necessary………just the willingness to explore and learn from a seasoned theatrical artist. Monday evenings: 7:00 p.m. – 9:30 p.m.
exercises, touching on different methods of acting: mining emotional and sensory work to root your characters in reality. A maximum of ten students participate in the class and early registration is recommended. Pre-requisite; previous stage experience or at least one year of acting classes. Yvonne Erickson is a professional actor, instructor, acting coach and director. Long standing member of SAG, AFTRA, AEA. Extensive acting experience; 30 years. TV/Film credits: guest star on such shows as Matlock, Homicide, Hack, American Gothic, and film roles in The Prince of Tides, Mothman Prophecies, Ladder 49 and many more. Extensive regional theatre; favorite roles- Stella, A Streetcar Named Desire; Joy, Shadowlands; Elizabeth Almond, The Heiress….local appearances at Center Stage, Rep Stage, Studio Theatre (D.C.), and American Century Theatre, Theatre J. Many regional & national TV commercials, mostly during election years; radio spots, narrations on camera and off, training films. Teaching experience; Virginia Commonwealth University, BFA acting program, on-camera acting; Howard Community College, theatre department, beginning acting and advanced auditioning technique. Private coaching and classes. Directing: staged readings at the Kennedy Center Page-to-Stage Festival; Rep Stage, The Eccentricities of a Nightingale; Studio Theatre, Welsh Words Festival (In ooperation with the Smithsonian Institute and the National Theatre of Wales). 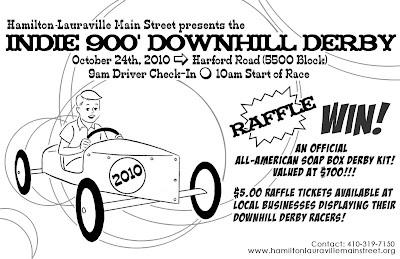 In preparation of next year's Baltimore Grand Prix, Hamilton-Lauraville Main Street (HLMS) is sponsoring the first "Indie 900' Downhill Derby" on October 24th. Driver check-in is at 9:00am. Race begins at 10:00. The starting line is White Avenue, the finish is 900' down the hill before Hamilton Avenue. Cars have been purchased by: Zeke's Coffee, Clementine, Murph's Garage, Hamilton Vacuum, Hamilton Federal, Hamilton Tire (Goodyear), Hamilton-Lauraville Main Street, Tattoo Museum, Helping Boys Understand (Hamilton Elementary-Middle School). In addition, HLMS will arrange to have 6-10 extra soap box cars on hand for kids to race. There are two age groups: 8-12 driving the stock cars and 13-17 driving the super stock cars. Most of the cars are ready to go. Drivers are still needed. If you or anyone you know is interested in participating in the race and if you are in the age range of 8-17, please contact HLMS to register as a driver. The HLMS stock car has two registered drivers so far (ages 8-12), and can accommodate two more. Hamilton Vacuum's super stock car has room for two more drivers. The 6-10 extra cars are available for drivers. The registration cost is $20. If more than one driver from a family wants to race, the price is $10 for the 2nd driver. Drivers will be provided with a tee-shirt to keep and a helmet to use for the race. Please check our website for race information & registration forms. 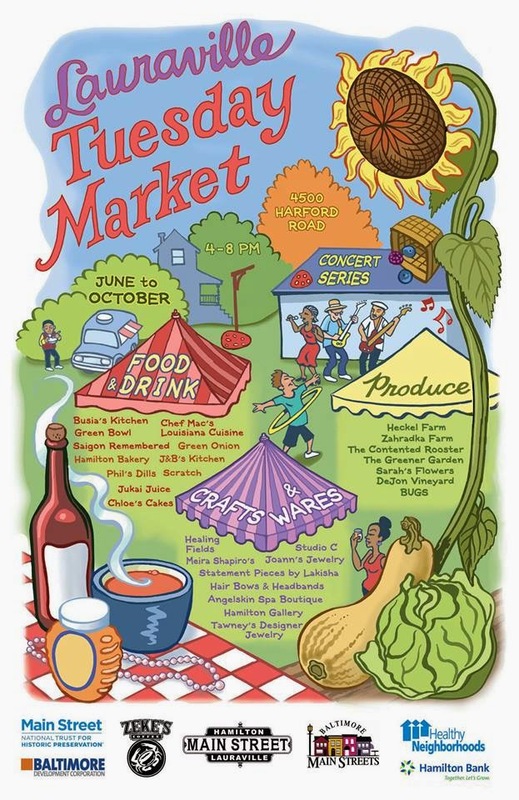 Forms & information will also be available at the Tuesday Market in Lauraville. RACE TRIALS will take place this Tuesday evening at the Tuesday Market in Lauraville. Montebello Terrace, next to Safeway, is closed between 3-8:30. As the market is cleaning up, we will have two cars available for test drives down the closed street. This is a great time to test drive an Indie 900 racer. Raffle tickets are available for $5. The prize is a soap box derby car (kit) valued over $700. The prize will be drawn on race day, 10/24. 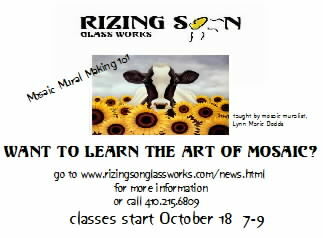 Lynn Dodds, whose work can be seen around Hamilton (City Neighbors Charter School and the Hamilton Art Gallery) will be holding workshops to learn the art of Mosaic. The Hamilton Gallery is proud to be hosting local artist Nan Thompson http://www.nansalchemy.com/ for the month of October. Thompson, who resides in Nottingham, MD is a retired interior decorator who specializes in making paper and transforming it into various forms of decorative and practical art. Thompson also practices other art mediums such as: stained glass, drawing, acrylic painting, Sumi-e (Chinese brush painting), polymer clay and photography. In addition to the monthly guest artist, Hamilton Gallery will feature the works of an artist who is a member of the Gallery - This month's featured member-artist is Brandy Baker. NASCAR without the Noise! 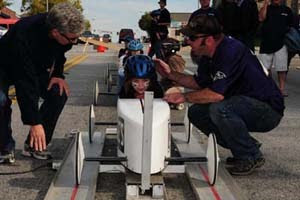 Soap-Box Racing on Harford Road: October 24 - Register Today! A great event for race lovers and their families! 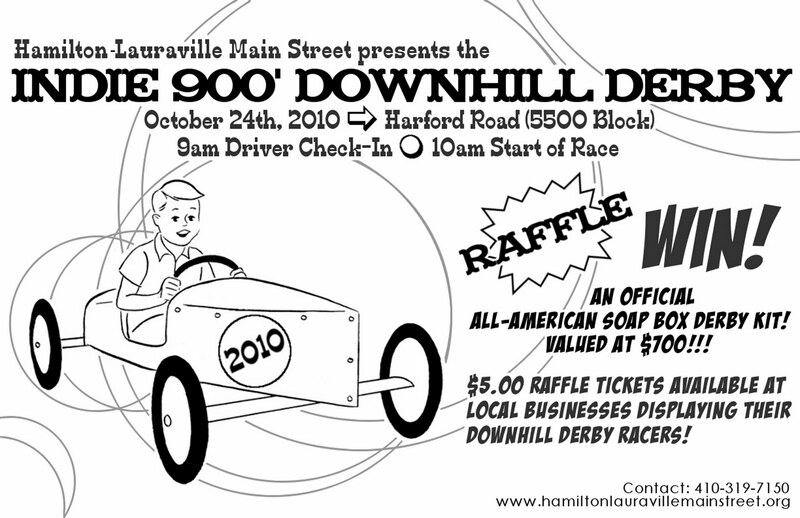 Hamilton-Lauraville Main Street announces the First “Indie 900’ Downhill Derby” soap box race on Harford Road. Driver check-in at 9:00 a.m. Race time at 10:00am! The race begins in the 5700 block of Harford Road below White Avenue and ends 900 feet down Harford Road near Hamilton Avenue. Ten Main Street businesses will sponsor the gravity-driven race cars. Extra cars on hand for a limited number of contenders! Teams of 4 racers per car.